Venezuela’s central bank sent key economic data to the International Monetary Fund last week to avoid penalties in the most significant trove of statistics compiled for the lender in about two years, according to three people with direct knowledge of the matter. The official figures admit that inflation spiraled out of control to 860 percent in 2017 while the economy contracted 15.7 percent, the fourth straight year of recession, according to one of the people who isn’t authorized to speak publicly on the matter. 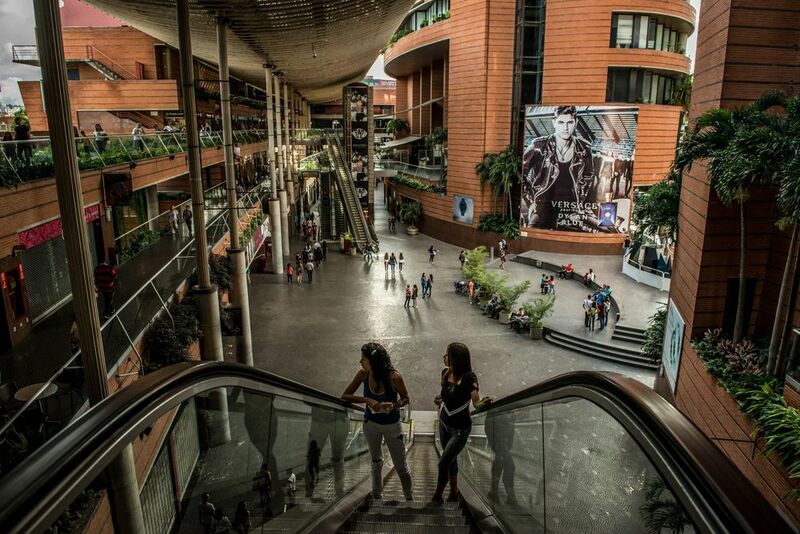 After Venezuela suspended the publication of growth and inflation data in the midst of the unprecedented crisis, the IMF warned of possible sanctions for withholding statistics and the central bank complied by sharing the figures Nov. 20, the people said. Venezuela has used the fund’s special drawing rights to bolster its international reserves in the past. The IMF’s press office declined to comment. A spokesperson from Venezuela’s central bank didn’t immediately return a request for comment. 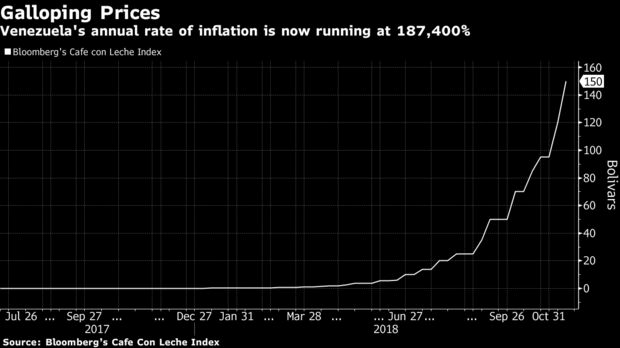 While Venezuela’s inflation admission trails the IMF’s 2017 forecast of 2,818 percent — and Bloomberg’s Cafe con Leche Index estimate of 1,718 percent — the data confirms the sizable collapse of the OPEC member’s economy now wracked by shortages, a crumbling oil industry and a breakdown in public services. In the absence of official statistics, investors and economists have relied on figures from multinationals, think tanks and even indicators that track the price of staple goods such as eggs and coffee. President Nicolas Maduro insists his country’s woes are the result of “economic sabotage” at the hands of his adversaries at home and abroad, while economists largely blame hyperinflation and hunger on a complex system of price exchange controls that breeds corruption. The compilation of the inflation statistics was handled by central bank director Sohail Hernandez Parra, the people said. An economist by training, Hernandez was a long-time diplomat who worked directly below Maduro in his previous role as foreign minister. After adjusting preliminary figures, the data set sent to the IMF points to staggering declines in 2017 across all major areas of the economy. The central bank will also send data for the first half of 2018, which is still being compiled, according to the people.